Firefighters responded to the traffic collision on Willow Street and Golden Avenue at 10:40AM on Saturday, March 10, according to Long Beach Fire Department (LBFD) spokesman Matt Dobberpuhl. The motorist, who was the lone occupant, was pulled from a vehicle and transported to a local hospital by paramedics, said Long Beach Police Department (LBPD) spokesman Sgt. Brad Johnson. Authorities did not identify the victim or the extent of his injuries but community members online said he was a family man and only received an injury on the shoulder. 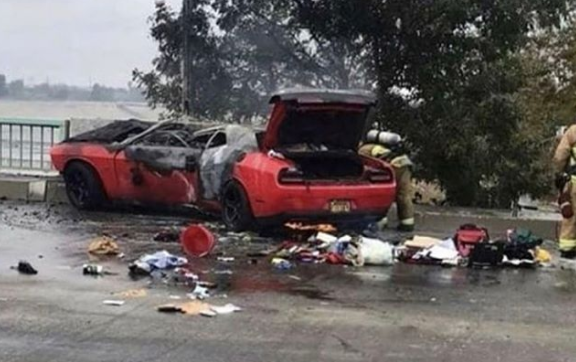 The cause of the crash and fire was unknown, authorities said.